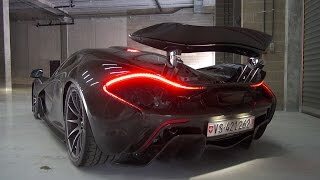 The first yearly transaction for the English automotive giant McLaren came when the company unwrapped its long awaited concept car the McLaren P1, at the Paris Auto show 2012. The P1 production version will be at the 2013 Geneva Auto Show. The P1 which derives its genes from the McLaren F1, pursues the combination of both hybrid as well as the Formula 1 technology. The P1 is being integrated with the hybrid technology, thus making the acceleration from both petrol as well as electricity.